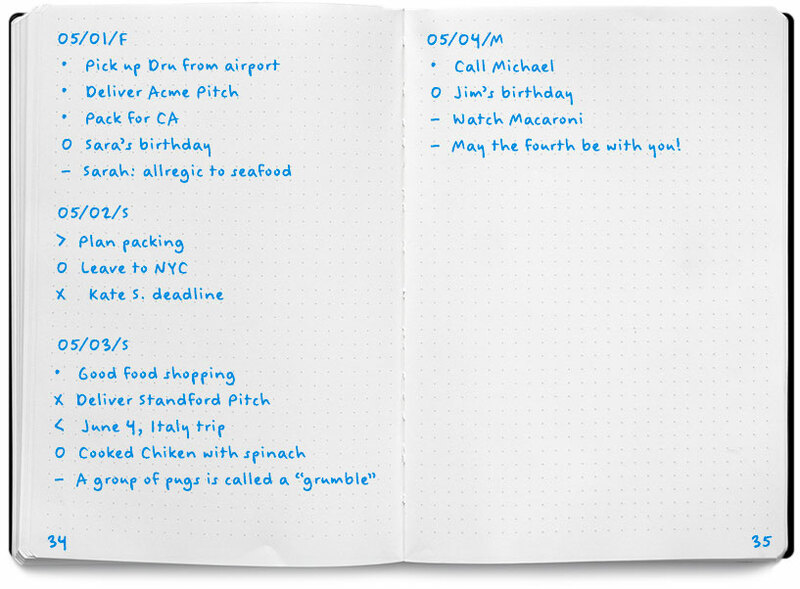 The Daily Log is designed for day-to-day use. At the top of the page, record the date as your topic. Throughout the course of the day, simply Rapid Log your Tasks, Events, and Notes as they occur. If you don’t fill a page, add the next date wherever you left off and you’re ready to continue. Don’t set up Daily Logs way ahead of time. Create them as you go or the night before. You never know how much space you may need any given day.